The Facebook apps for iOS and Android were updated on Monday with changes to the "Nearby" function that helps users discover nearby businesses. In addition, Foursquare's iOS app, which does the same while offering "badges" and other gamified incentives for going out, received got an update on Monday as well. Both companies are aiming to make it easier than ever to discover new hot spots with their respective updates, and each app now offers improved social functionality. 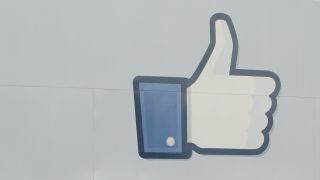 Of Facebook's reported 1 billion members, 250 million use the Nearby feature, according to USA Today, while CNET reported in April that Foursquare hit 20 million users, providing the perfect alchemy to get the updates off the ground. The new Nearby tab within the Facebook mobile app will display first and foremost nearby locations that have been recommended or checked into by friends. Rating and recommending locations and businesses will alter what your friends see when they check what's nearby on their own devices, and vice versa. Users can also search by category, like restaurants, to pull up time-sensitive searches. "This is an early release and there's lots more to do," wrote Facebook's Product Manager of Locations and Events Josh Williams in a news release. "Results will get better the more people use Nearby, and we'll continue to improve it based on feedback." Williams also revealed plans to integrate data from third party services in the future. Foursquare update applied only to the iOS version of the location-based check-in app. "We've made it even easier to decide where to go and what to do when you get there (and to learn interesting things along the way)" read an official Foursquare blog post. As of Monday, when Foursquare users on iOS tap on a specific business or location, the most important information - ratings, hours, etc. - is displayed first. Once a Foursquare iOS user has checked in, the app will impart some tips and allow them to leave their own tips and ratings, in addition to alerting them to who else is at that location. Finally, once a user has checked in the Foursquare app "highlights an important takeaway," like what your friend's favorite dish there is or that you've been to the gym for however many weeks in a row, according to Foursquare's blog. As if you needed any other back-patting for going to the gym besides those rock-hard abs you see in the mirror, right? Both app updates have the markings of attempts to take on Yelp, introducing an even more social slant, so it'll be interesting to see how the search service reacts to these upstarts' updates.